A new DNA sequencing technique lets scientists track genetic errors in individual cancer cells. For the first time, they can reconstruct a tumour’s life history and understand how an error in a cell’s DNA led to the uncontrollable growth of a tumour. This new technology will help doctors understand how a particular cancer has evolved and personalise treatments for each patient, to make them more effective and successful. We are made of billions of cells that work together to build every part of our body. Occasionally, one of these cells acquires an error in its genetic code and this error, or mutation, can sometimes make this abnormal single cell divide and grow faster than the healthy ones, causing a tumour to develop. During this process, cells can continue to evolve and accumulate many more mutations that make it more dangerous than the original one. Previously, when researchers studied cancer, they used to take a piece of the tumour and analyse it as a whole. Without understanding the life history of each tumour, science could only give us an incomplete picture of the cancer, where the different cells are mixed and averaged, to get an idea of how dangerous the cancer was. But it didn’t tell us anything about how the tumour had evolved and what type of cells it was made of, making it hard for doctors to select the right treatment for each patient. This is the reason many cancer treatments don’t work, and when they do, cancer sometimes regrows within a few months or years, coming back a lot more aggressive than the previous one and much more difficult to treat. As the entire tumour couldn’t be beaten as a whole, five years ago, researchers started using a different strategy: divide and conquer. They began dividing the tumours into single cells and analysing each cancer cell separately to try and understand which types of cells made up each tumour. But even with this advance, they still only had two main tools to analyse single cancer cells. One tool allowed them to read the genetic code of a single cell at a time, identifying which cells have genetic mutations. The other tool helped them understand which genes were active in each cancerous cell, and what their role in the cells was. However, neither of these tools revealed the whole picture. Using them, you could either get the genetic errors from each cell, or the genes that are active and functional – but not both. This made it impossible to understand which genes are activated as a result of genetic errors in each cell. A team of researchers at the MRC Weatherall Institute of Molecular Medicine, University of Oxford, developed a new single-cell sequencing technique that allowed them to see the whole picture. It lets scientists analyse the genetic errors that each cell in a tumour has accumulated while also understanding its gene activity and cell function. This will allow researchers to see in fine detail every aspect of the tumour. 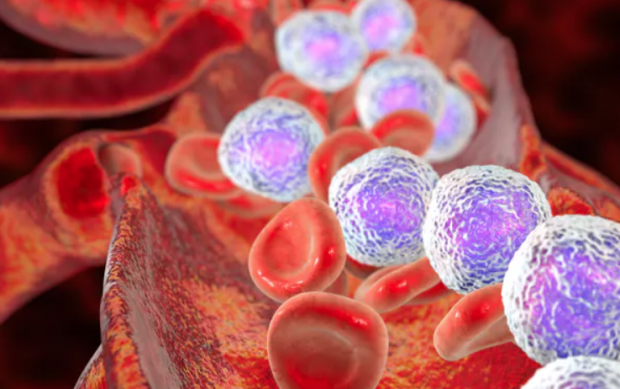 In their latest study, published in Molecular Cell, they used this new technique, called TARGET-seq, to analyse many thousands of cells from 11 patients whose blood-making cells had become cancerous. Their analysis provided a detailed picture of the cell types that made up blood cancers. Thanks to its high resolution, they could reconstruct the complete life history of each tumour and identify the molecules that were active during the first steps of tumour development. They also found that cells that appeared healthy, as they didn’t have cancerous mutations, were behaving like malignant cells and activating abnormal genes because they were in a tumour environment. Scientists are now using TARGET-seq to analyse different types of aggressive leukaemias for which there are no effective treatments. They are hoping to understand how to eliminate the cells that started and sustained the tumour, to be able to completely eradicate them. In the future, we hope that this technique will be used by oncologists to determine the exact mixture of cancer cells that makes up each tumour and customise the right treatment for each patient.